Microsoft's Windows Phone OS is still miles behind Android and iOS in terms of market share, but traction is improving, new figures have shown. The OS almost trebled its slice of the pie in the UK, rising from 2.2 per cent to 5.9 per cent in the last twelve months, according to data from research firm Kantar Worldpanel Comtech. Third place now beckons for Microsoft in Blighty as it closes in on RIM's floundering BlackBerry platform, which has a 6.4 per cent share of the UK market. However, the battle for the bronze medal is merely a dot on the horizon behind the interminable iOS/Android scrap, which claims 32.4 and 54.4 per cent respectively. However, although Microsoft's improving outlook in Britain is something to cling to, there's even better news for the company in Italy, where Windows Phone has a very respectable 13.9 per cent of the market. In another interesting tidbit gleaned from the figures, Apple is supposedly getting closer to overtaking Samsung, in terms of manufacturing share. Apple has 32.4 per cent of the market with the iPhone, while the more numerous Samsung models have 35 per cent of all active phones in the UK. 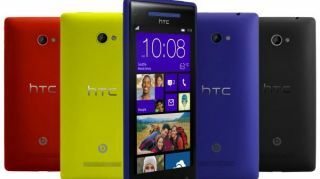 Nokia is also on the rise once again, thanks largely to its Lumia range of Windows Phone handsets. It's UK share is up 50 per cent, year-on-year, and it now holds 6.2 per cent of the market. Could the Finnish company, which has enjoyed some rare, positive news in recent weeks, make the comeback of all comebacks to challenge the top dogs?